Born into a family whose business was women's couture, followed by degrees in both fashion and graphic design, it is not surprising that Renee Garvey would eventually find her passion in jewelry. "My goal has always been to take what is innate to me, fashion and style, and blend it with what inspires me about living in California - the beauty of the sun and sand, the water, the earth," says Renee. 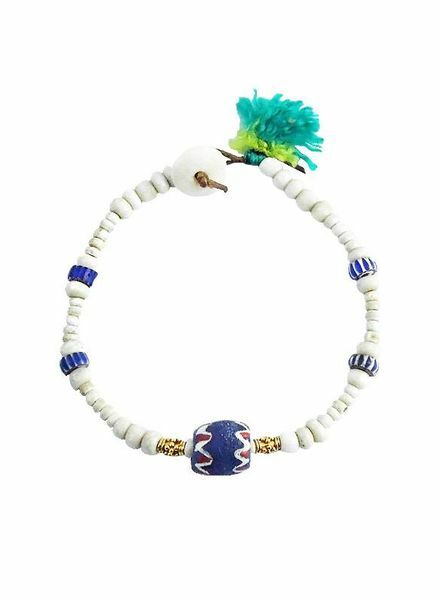 Known for recycling materials and turning them into treasures, Renee has created a collection that makes people feel connected with nature, rather than just accessorized. 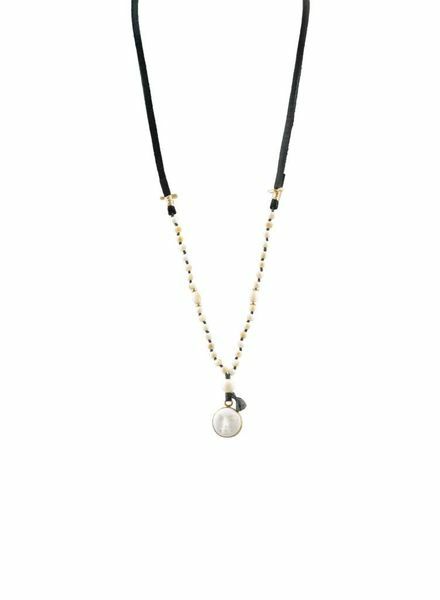 A leather, beaded necklace with a moonface charm and gold bezel. 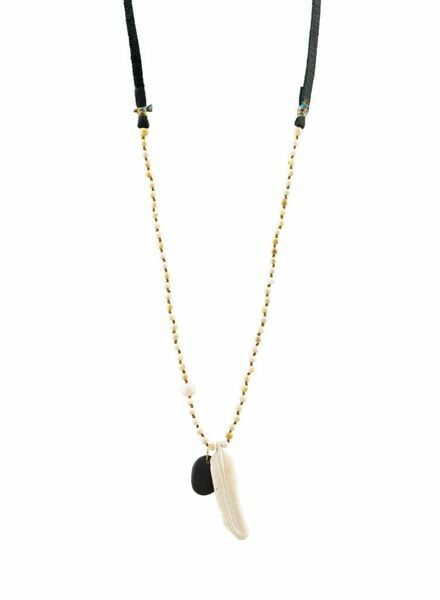 A beaded, leather necklace with a carved feather and beach stone drop. 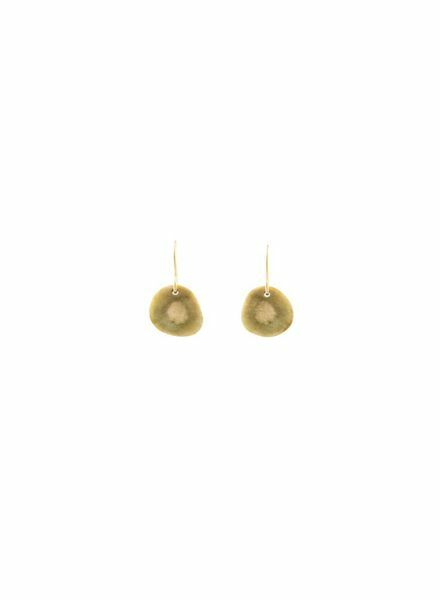 A pair of naturally shed antler earrings with gold ear wires. 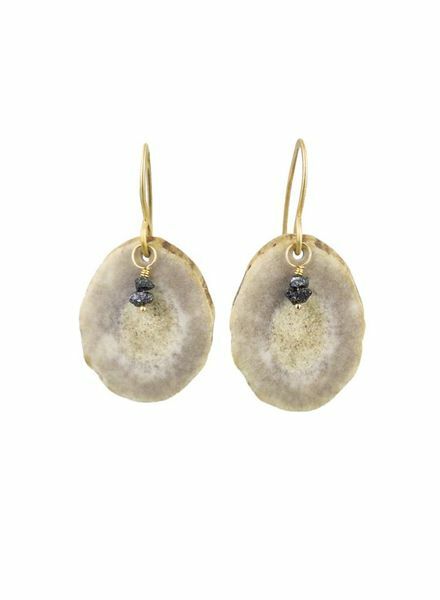 A pair of naturally shed antler slices with gold ear wires and black diamonds. 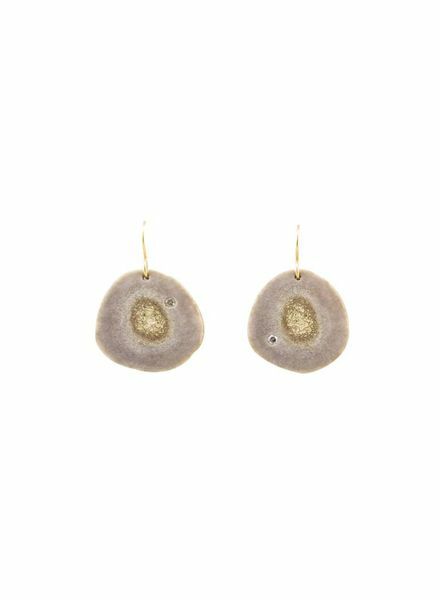 A pair of naturally shed antler slices with an embellished white diamond. 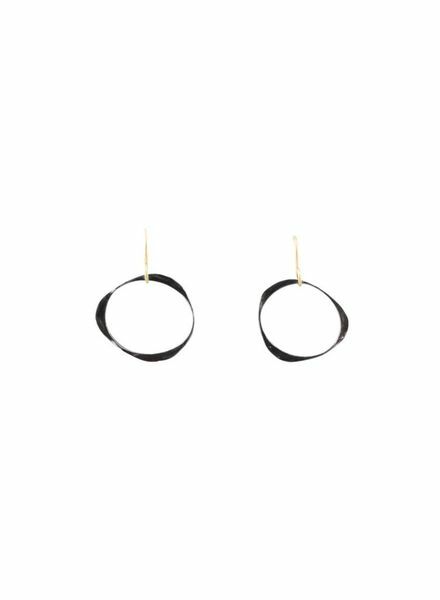 A pair of hammered hoop earrings. 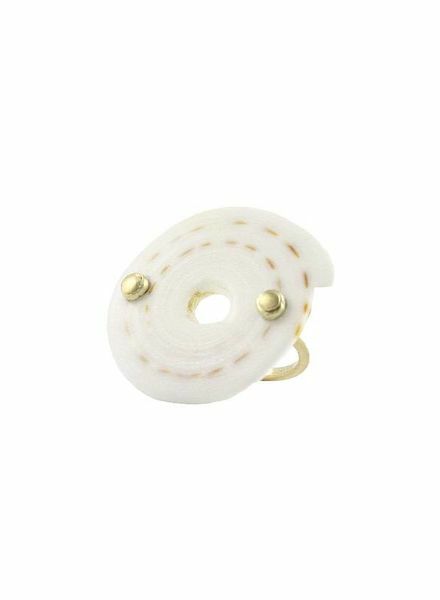 A kwalia shell set with two gold nail heads, on band. 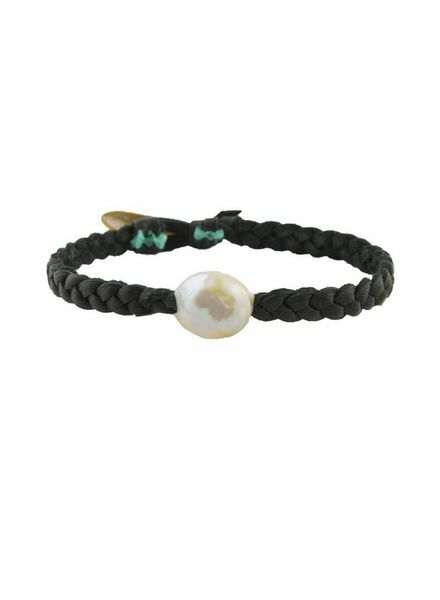 A knotted Smooth Aquamarine Bracelet with leather closure. An aquamarine bracelet with antler accent and button/deerskin closure.